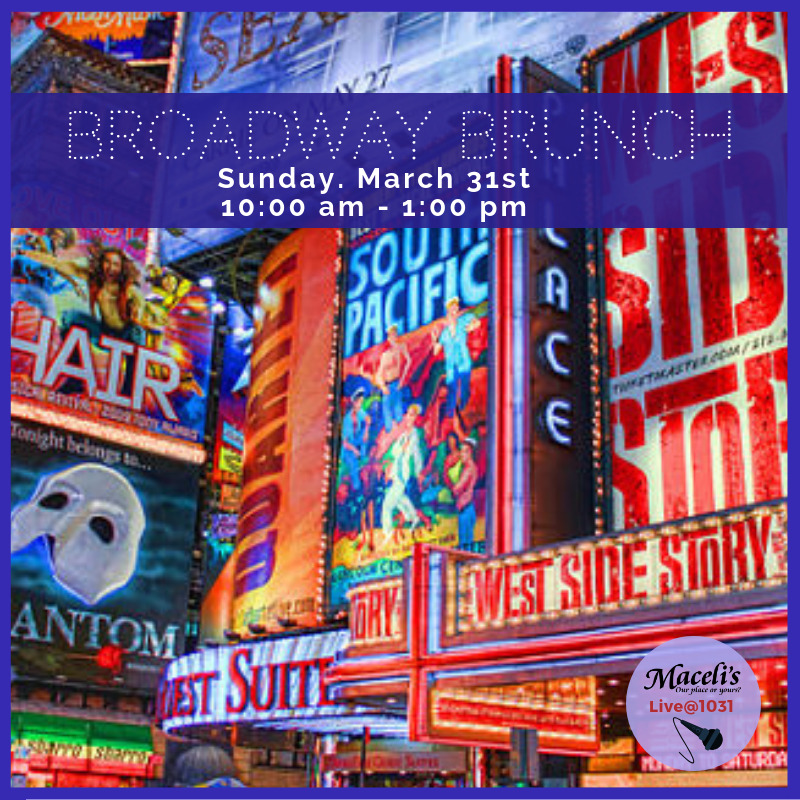 Mary Baker & Friends return with another BROADWAY BRUNCH cabaret of songs from Broadway and movie musicals old and new. Over one hundred performers have sung nearly 750 songs in the forty-one shows the group has presented since March of 2001. This cast consists of Sadie Barbee, Jan Cooper, Josh Eisenhauer, Dan Heinz, Sonja Holmgren, Matt Keller, Sarah Lockwood, Robin Michael, Kim Polson, Skye Reid, Julia Ruddy, Kelly Schellman, Taylor Scrivner, Melia Stockham, Terry Thoelke, and Brian Williams Producer & music director Mary Baker accompanies on piano with Valance Penn on percussion. This is a ticketless show. All you need to do is provide your name at the door. Feel save your confirmation letter as your proof of purchase. Please send all seating and dietary requests to steve@macelis.com. Thank You and see you on the 31st. Brunch Buffet begins at 10am.